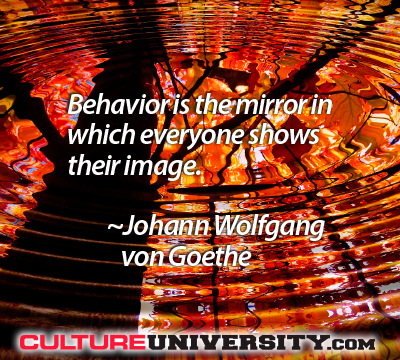 Focusing on a “critical few” behaviors is one of the fundamental tenets of working effectively with organizational culture. These are patterns of acting that are actionable, highly visible, and measurable. Most important, adopting these behaviors has a meaningful impact on an organization’s strategic and operational objectives. The behaviors are critical because they will have a significant impact on business performance when exhibited by large numbers of people; they are few because people can really only remember and change three to five key behaviors at one time. 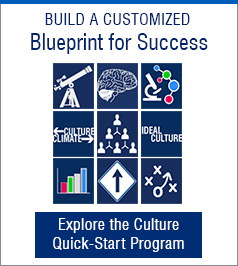 Defining and selecting the critical few behaviors is an important first step to addressing business problems through culture, and you can get there by following a four-step process. It’s vital to identify the area or issue in which you are trying to make a difference. For an organization, this often means aligning with the strategic priorities or, sometimes, the goals of a critical enterprise-wide transformation effort. Examples could include reducing injuries in a plant environment, or increasing IT system reliability and resiliency. Defining the ultimate goal will help you to understand what the behaviors should be aimed toward. A behavior is a habitual way of acting that is considered the norm or expectation — it is not a one-time action, a policy change, an outcome, or a mind-set/attitude. To reduce injuries in a plant, a company may focus on maintaining a safe work environment. Declaring a plant “clean-up day” is an example of a one-time action. By contrast, an appropriate habitual behavior could be getting employees to take ownership to maintain the safety of the shop’s workspace, which would include proper waste disposal and the elimination of tripping hazards. You can brainstorm behaviors that will contribute to the goals you’ve defined by asking, “In a future state in which we’ve achieved the goals, what would people actually do (or do differently)?” Then review your brainstormed list to make sure all the behaviors are specific, repeatable, and preferably applicable to everyone in the organization — at all levels and roles. A common way to do this is to plot the behaviors using the axes of implementation and impact. In prioritizing the critical few, impact is exponentially more important than the implementation criteria. It is possible to drive change — and see tangible progress — through a critical few behaviors even in a complex corporation. And it can be incredibly satisfying to help your organization’s people contribute more tangibly to the strategic and operational goals. Please share your thoughts on social media. Kristy Hull is an advisor to executives for Strategy&, PwC’s strategy consulting business. Based in DC, she is a director with PwC US.